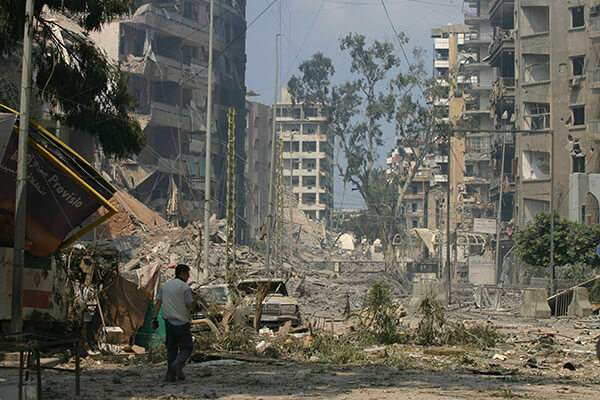 The Characterisation of Explosive Weapons Project (CEW) is managed and implemented by the GICHD, and it is guided by a group of 18 experts from disciplines relevant to researching the effects of explosive weapons in populated areas. The specialists consulted pro bono and shared their knowledge in a personal professional capacity. This research was further assisted by the Graduate Institute of International and Development Studies in Geneva as part of an Applied Research Seminar to compile case studies on the use of explosive weapons. The GICHD also engaged Armament Research Services, a specialist technical intelligence consultancy, to lend subject expertise and co-edit the Final Report. There were three phases in this research project. The first identified the scope of the research, established stakeholders and partners, and assembled the experts. In collaboration with the expert panel, the GICHD determined the selection criteria for the weapons to be studied. A list of terminology commonly used to describe explosive weapons and their use was mapped, compiled and clarified. The Final Report and the 5 Annexes are the results of the second phase of the project. 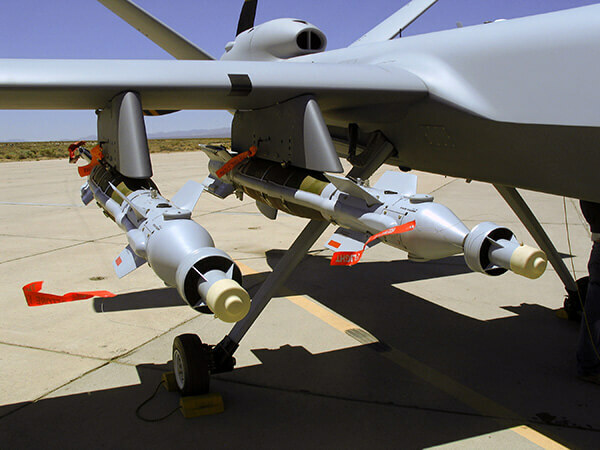 They are the culmination of the technical research into 5 weapon and munition categories, analysing dozens of case studies of their use, accuracy, precision and effects. The third and final phase of the project was the development of the simulator found on this website. It combines the raw data generated by the research with accuracy and effects parameters from recognised sources, into a purpose-built computer simulation demonstrating explosive weapon effects in populated areas. All phases of the research applied the same methods for compiling, formatting and presenting data, thus enabling a valid comparison to be made of the effects of different high explosive munitions on humans and infrastructure. Ms. Christina Wille is the co-founder and Director of Insecurity Insight. Together with Ms. Larissa Fast, she runs the Aid in Danger project, an initiative that documents incidents affecting the delivery of humanitarian aid with the aim of assisting humanitarian agencies in security management. The project collected some 20 years of data and includes a subset of explosive weapons incidents. 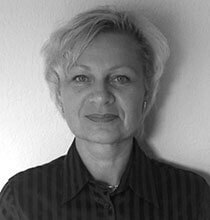 Prior to setting up Insecurity Insight, Ms. Wille worked as a senior researcher at the Small Arms Survey and as a junior expert for the European Commission with responsibilities for the demining programme in the Western Balkans. 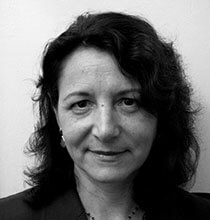 As a consultant, she has also supported the work of UNIDIR on explosives weapons and ICRC on setting up the monitoring framework for attacks on healthcare. Ms. Wille holds an MPhil in international relations from the University of Cambridge, UK. Dr. Stolz studied civil engineering at University of Wuppertal and wrote his doctoral thesis on mobilisation of bedding stresses in granular soil at the Professorship for Geotechnique. As head of the department Safety Technologies and Protective Structures, he is specialised in experimental investigation and numerical modelling of materials, components, and structures under dynamic loads. 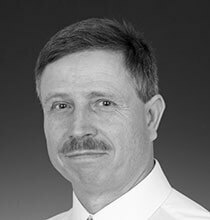 Dr. Stolz has significant experience in Security of Bridges & Tunnels; Autonomous Risk; Information System for Structural Analysis; Monitoring of Critical Infrastructure and Safety; Protection of Built Infrastructure to Resist Integral Threats. He coordinates the thematic group “Resistance of Structures to Explosion Effects” in European Reference Network for Critical Infrastructure Protection. Mr. Sheldon has been a Senior Lecturer in Weapon Effects on Structures for Cranfield University since 2011. He is part of the Impact and Armour Group at the UK Defence Academy. He is a professional civil engineer with an MSc in Weapon Effects on Structures. In addition to teaching about the design of protective structures, he lectures on blast, ballistic and impact loading. His research interests include directed explosive energy and protection against weapon effects. Mr. Sheldon served in the British Army with the Royal Engineers for over 39 years where he gained extensive exposure to protective structures from operational tours in Northern Ireland, the Gulf and Afghanistan. These practical experiences were interspersed with research and development of fortifications with the UK Defence Science and Technology Laboratory and the US Army Corps of Engineers R&D Center. Mr. Sheldon was the senior military advisor on Force Protection Engineering from 2006-2011. Mr. de Saint Maurice joined the ICRC in 2001, working both in the field and at headquarters where he occupied several positions dealing with international humanitarian law and policy. He worked as a legal adviser to operations for five years (Near East and Africa) and as an adviser in the Policy Unit for three years, working on humanitarian policy issues, including humanitarian access, new technologies for humanitarian action, and humanitarian needs in situations of violence other than armed conflicts. In 2015, Mr de Saint Maurice became legal adviser in the ICRC Arms Unit, focusing on the use of explosive weapons in populated areas and their humanitarian impact. 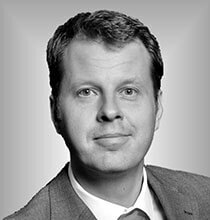 He has a degree in political sciences (Institut d'Etudes Politiques de Lille), a LLM in public international law from the Université Libre de Bruxelles and an MA in international relations from the University of Kent. Mr. Rawson joined the GICHD in July 2012. He is the Advisor on Ammunition Safety Management and the focal point for everything involving safety throughout the lifecycles of ammunition and explosives, explosive ordnance disposal technology and stockpile disposal. Prior to the GICHD, Mr. Rawson worked clearing explosive remnants of war in Libya and minefields in Afghanistan, wherein he also gave instruction on IED disposal and ammunition management. His previous roles include Explosive Safety Manager and Technical Manager for Demilitarisation operations at QinetiQ, a research and development company. Mr. Rawson gained the technical competences while in the British army. Among other things he is qualified in high threat improvised explosive device disposal, explosive ordnance disposal, chemical, biological, radiological and nuclear weapons disposal and all aspects of ammunition and explosive management. 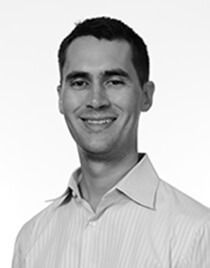 Mr. Paunila has worked in the GICHD as an Advisor for Ammunition Technical Operations since February 2013. He advises national authorities on topics of safe and secure management of ammunition, and development of effective and sustainable state policies and practices to address explosive hazards. Prior to the GICHD, Mr. Paunila directed mine action, ammunition disposal and armed violence reduction programmes with Danish Demining Group, and before this, he operated in the field of ammunition stockpile management with Finnish Defence Forces. His longest field postings were in Afghanistan, the former Yugoslavia, Sri Lanka and Uganda. Mr. Paunila’s education is a combination of academic and practical disciplines with degrees in explosive weapon systems, automation engineering, and resilience. Mr. Iain Overton is the Executive Director at Action On Armed Violence. He oversees the research and policy work that AOAV carries out. In this role he has examined explosive weapon harm in countries as diverse as Ukraine and Pakistan, Colombia and Mozambique. He regularly delivers his research at the UN and other forums. 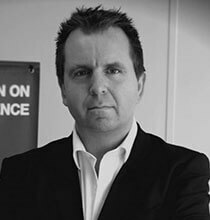 Prior to joining AOAV in 2013, he worked as a journalist, notably for the BBC, ITN and as editor of the London-based Bureau of Investigative Journalism. For his journalism, Mr. Overton was awarded two Amnesty Media Awards, a Peabody, a BAFTA Scotland, a One World Award and three RTS nominations. He is a guest lecturer in investigative journalism and holds an MPhil and BA from Cambridge University. His book Gun Baby Gun was published in the UK in April 2015 and was later released in China, France, Norway, the US and Canada. It was shortlisted for a CWA Dagger Award. 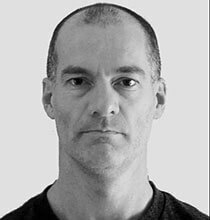 Mr. Moorhouse is a mine action consultant with extensive experience on explosive ordnance disposal and managing of explosive hazards in a number of conflict and post-conflict countries. 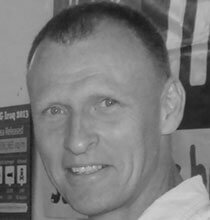 He has worked for mine action NGOs, international organisations and commercial operators in a variety of roles. Mr. Moorhouse holds an MA in International Studies from Durham University. Dr. Knock is a lecturer at Cranfield University, where she has worked since 1996. She is part of the Centre for Defence Engineering at the UK Defence Academy and lectures on explosive blast, internal ballistics and computer modelling. Dr. Knock’s research has included experimental and computer modelling work on the study of shock waves from non-spherical explosive charges, shockwave transmission through walls, prevention of the mutual detonation of ammunition, the flight of fragments from exploded buildings and failed electrical bushings, as well as cook-off and spigot intrusion. She also conducts research on bloodstains and forensic science. The work has resulted in a number of publications in journals such as Propellants, Explosives, Pyrotechnics and Shock Waves. 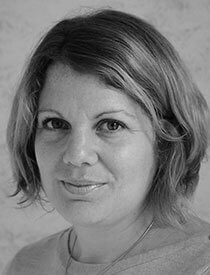 Clare has a degree in Theoretical Physics, MSc in Oceanography, a PhD in Applied Mathematics and an MBA. Mr. King served fourteen years in the British Army, carrying out EOD operations in the Falklands, Gulf, Bosnia and Kosovo. He instructed at the British EOD School, spent six years as the sole EOD analyst for the UK Ministry of Defence and led the first British team to train Afghan deminers before his final tour with Ghurkhas. Thereafter, he worked in EOD intelligence as a reservist. 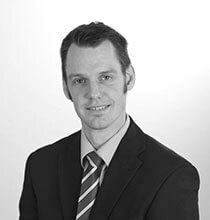 He is now responsible for the technical aspects of the disposal and demilitarisation projects at Fenix Insight Ltd. Mr. King is particularly interested in the effects of ageing on munitions, with current work building on a 3-year study on behalf of the US State Department. 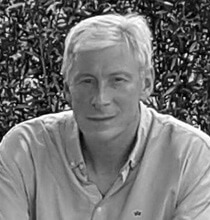 Colin writes the leading EOD industry reference work for IHS Jane’s, and provides technical consultancy to operational, academic and intelligence agencies. Mr. King is researcher at the Small Arms Survey. He coordinates the Survey’s task group addressing issues related to weapons and markets. His research focuses on the implementation and effectiveness of small arms control programs and he has authored several reports on firearms marking and on stockpile management. Prior to joining the Survey, Mr. King worked in South Sudan with the Carter Center. He holds a Master’s degree from the Monterey Institute of International Studies. Mr. Jenzen-Jones is a military arms & munitions specialist and security analyst focusing on current and recent conflicts. 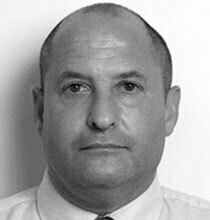 He is the Director of Armament Research Services (ARES), a specialist technical intelligence consultancy. He has produced extensive research and analysis on a range of small arms and small arms ammunition issues, as well as providing technical assessments of incendiary weapons, emergent arms technology, and arms proliferation. Mr. Jenzen-Jones’ other research fields include the exploitation of technical intelligence to support counter-piracy, counter-narcotics, and other operations. He has produced significant original research examining the use of explosive weapons in populated areas. 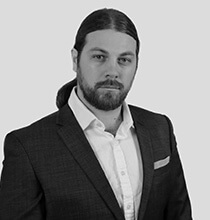 Mr. Jenzen-Jones is a qualified armourer and ammunition collector, and a member of the European Cartridge Research Association, the International Ammunition Association, and the International Ballistics Society. 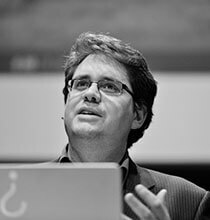 Mr. Higgins is the founder of Bellingcat and the Brown Moses Blog, visiting research associate at King's College London, and nonresident senior fellow at the Atlantic Council. 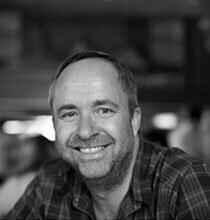 He is an award winning investigative journalist and publishes the work of an international alliance of fellow investigators using freely available online information. He has helped inaugurate open-source and social media investigations by trawling through vast amounts of data uploaded on to the web and social media sites. His inquiries have revealed extraordinary findings, including linking the Buk used to down flight MH17 to Russia, uncovering details about the Aug 21st 2013 Sarin attacks in Damascus, and evidencing the involvement of the Russian military in the Ukrainian conflict. 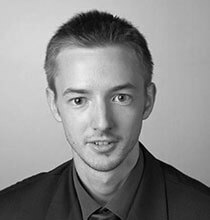 Recently he has worked with the Atlantic Council on the report "Hiding in Plain Sight", which used open source information to detail Russia's military involvement in the crisis in Ukraine. Ms. Grayson joined UNICEF five years ago as a Senior Advisor in its Child Protection Section, where she leads its Armed Violence & Weapons Team. She has worked in numerous mine- and conflict-affected countries over the past 15 years, from Afghanistan to Sri Lanka to Chad, Yemen and more, under the auspices of UNDP, NGOs, World Bank, and government agencies. In her current post she leads the work on protecting children from both the active use of explosive weapons and explosives remnants of war, and on preventing children’s own engagement in armed violence. Ms. Grayson holds two advanced university degrees in economics and philosophy. 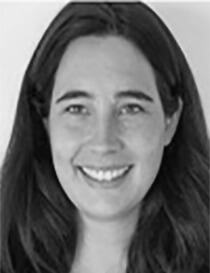 Hannah Bryce joined Chatham House in 2013 and is now the Assistant Head of the International Security Department. Prior to this appointment Hannah spent several years working overseas in the humanitarian sector, with a particular focus on humanitarian mine action. Hannah managed demining programmes in Sudan, South Sudan and Vietnam including operations on mine and battle area clearance, explosive ordnance disposal and mine risk education. Her research areas of interest include human security (particularly related to the proliferation of small arms and light weapons and landmines), Sudan and South Sudan politics and current affairs, and the role and impact of the humanitarian sector. Hannah holds a Bachelor of Laws (LLB) from the London School of Economics and a Master of Studies in International Relations from the University of Cambridge. Ms. Brown took up the role as Head of Humanitarian Policy at the British Red Cross in February 2017. Prior to this, she worked as the Head of International Policy and Advocacy at UNICEF UK, and as a Conflict and Humanitarian Policy and Advocacy Adviser at Save the Children where she was the representative on the steering committee of the International Network on Explosive Weapons (INEW). She has also worked at the Cluster Munition Coalition, the International Campaign to Ban Landmines, Oxfam GB, the Canadian Red Cross, and the International Federation of Red Cross and Red Crescent Societies in the Southeast Asia Regional Delegation. Ms. Brown holds a Bachelor of Arts in Psychology from the University of British Columbia in Vancouver, Canada and a Master of Arts in International Development Studies from Chulalongkorn University in Bangkok, Thailand. Ms. Brehm is working with the UK-based Article 36, a founding member of the International Network on Explosive Weapons. 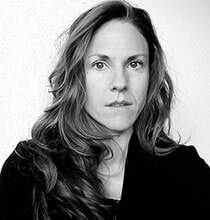 She is also a researcher in weapons law at the Geneva Academy of International Humanitarian Law (IHL) and Human Rights. Previously, Ms. Brehm led a research project on norms on explosive weapons at the UN Institute for Disarmament Research and worked as a protection delegate with the ICRC. Ms. Brehm holds MA in international relations and LL.M in Int. Humanitarian Law. 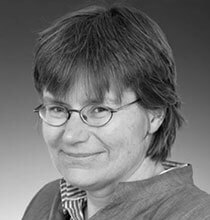 Her publications include “Unacceptable Risk: Use of explosive weapons in populated areas through the lens of three cases before the ICTY” (PAX); “Protecting civilians from the effects of explosive weapons in IHL” (C. Harvey et al. eds. ); and “Contemporary Challenges to the Laws of War: Essays in Honour of Professor Peter Rowe” (Cambridge Uni. Press). Dr. Borrie is the United Nations Institute for Disarmament Research (UNIDIR)’s Chief of Research. 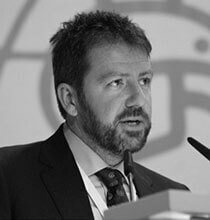 Since joining UNIDIR in 2004 he has led many research projects on arms control, IHL and disarmament, including work on explosive weapons use in populated areas. He is also an associate fellow in international security at Chatham House. Previously, Dr. Borrie worked in the ICRC Mines-Arms Unit and was deputy head for disarmament at the New Zealand Permanent Mission in Geneva. He earned a DPhil and PG Diploma in research method in the social sciences from the University of Bradford and a BA Hons from the University of Canterbury. Dr. Borrie has written widely, including Unacceptable Harm: A History of How the Treaty to Ban Cluster Munitions Was Won (UN 2009). Lt. Colonel Balogh has worked for the Hungarian Ministry of Defence since 1989 and has been employed in a number of infrastructure related posts. She has a civilian engineer and architect background. In 2013 she earned her PhD in Military Engineering from the National University of Public Service, Budapest. Her doctoral research focuses on defending buildings and military camps against (I-ED) blast attacks. In support of her studies, she was a team member of a 2-year-long EU funded Defence Research of Critical Infrastructure project. Within these studies, the team analysed viable techniques to defend buildings against blast attacks from multiple points of view. Lt Col. Balogh was responsible for examining the blast effects on buildings, identifying ways to prevent attacks and suggesting methods to reinforce the buildings. She now serves as C-IED senior staff officer/project manager in NATO Headquarters SACT in Norfolk, Virginia, USA. Dr. Bagshaw is a Senior Policy Advisor on the protection of civilians at the United Nations Office for the Coordination of Humanitarian Affairs. He is the OCHA focal point for weapons-related issues and has been leading OCHA's efforts to draw attention to the humanitarian impact of explosive weapons in populated areas and to promote action to address it. Dr. Bagshaw has worked for OCHA for 12 years. Prior to this, he worked as a Senior Research Associate in the Office of the Representative of the UN Secretary-General on internally displaced persons. Dr. Bagshaw has a Doctorate in Law from the European University Institute in Florence. holds an MA in War in the Modern World (KCL) and an MSc in Risk, Crisis and Disaster Management (Leicester). He was appointed MBE for his work in Northern Ireland.